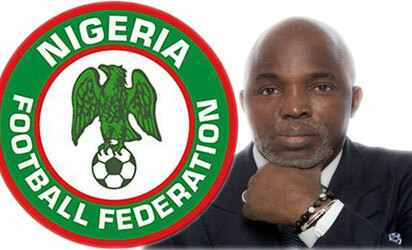 President of the Nigeria Football Federation (NFF), Amaju Pinnick speaks on plans to make the Eagles qualify for the 2018 World Cup , the Falcons allowances shame and his aspirations to run for a CAF Executive Committee position, JOHN EGBOKHAN reports. What is your view on the way Eagles are playing and what benchmarks are you setting for them as we await the next round of matches in the qualifying campaign for the 2018 FIFA World Cup? We are quite happy and impressed with their performance because we see that they have made a lot of progress in the few months of being coached by Gernot Rohr.. Although we did not qualify for the Nations Cup, which is quite regrettable, we believe we have a lot to prove at the World Cup. At the World Cup, we always stopped in the second round; so this time around, it is not impossible for us to reach the final with the new commitment in the team. This new commitment cuts across the whole spectrum, from the leadership to players and the entire technical crew and with this, I believe we can go beyond the usual stage. The level of maturity among players and the coach is amazing. The coach doesn’t wait till when there is match before interacting with the players. He calls them after every match in their respective clubs and also talks to their coaches. He is concerned and wants to know everything about his players and this is what we have been lacking all this while. We now have a good foreign coach. As I always say, it is not that I don’t believe in Nigeria coaches, but we need a coach with deep influence, someone that can call club coaches at any time and will command the necessary respect. The truth is that presently, our coach has full the wherewithal to give our players all they need to excel. Nobody believed we could beat Algeria before the match in Uyo but we did it in some style. Once we get the right result in our next match against Cameroon, then I can safely say we are in the World Cup. All we need is a Sports Ministry that will be more objective and supportive in their approach. The Sports Minister, during the opening of the 2016 Annual General Assembly of the NFF said there is division in the board as regards your bid to get into CAF. How true is this? There is practically no division. It was 11 over 11 for the bid. Every member of the board passed a vote of confidence on me and the congress endorsed my candidature. It is not about me, it is about Nigeria. If you look at it, assuming consensus was in our favour, Nigeria would have been in the upcoming Nation Cup because teams ended up on 11 points and we would have made case for Nigeria by prevailing on CAF to fund the home and away games of CAR and deduct it from there revenue, But because nobody was there to push for it, that was why I believe it ended that way. So it is very important for a Nigerian to be there and by the grace of God, I am confident of being elected into the Executive Committee of CAF by March, because I believe they respect Nigeria. What should the expectations of Nigerians be like if you get into the most powerful body in CAF? We would restructure and bring in innovation. At that level, you can only protect Nigeria in isolated cases but generally, you look at improving CAF for the collective good of the member states and players. What new roles if elected into CAF do you think CAF should be striving to do in order to attract the weight that its counterpart in UEFA pulls? It’s about improved funding and taking care of federations. For example, if Nigeria is playing Ghana, we have to pay for referee, it is alien, other federations don’t do it. All these things are what CAF can do. Football money is not meant for the bank but pitch. UEFA is what it is because of innovative thinking and I believe that CAF has what it takes to be if not as big as UEFA, something close to it. Back to the Sports Minister, who raised an issue of NFF’s misappropriation of the FIFA development grant, inferring that your organisation was financially irresponsible. What is the true situation that prompted the Minister to come out openly to say such? The truth is that we met some FIFA fund and it was used to prosecute games and conduct youth development programmes. What FIFA faulted when they sent their auditors to meet with our own auditors was a minor complaint. And they did not say they are holding back, they just want everything to tally with what we said we are doing. For example, our way of disbursement, if you give us $10,000 if we pull it out and change it in black market, it will enable us to do more, that is what we are doing and that is what I met on ground. But when the new FIFA policy came into practice a year ago, they changed all those things and I believe when the things are sorted out that Nigerians and FIFA will see the true position clearly There is nothing fishy or unscrupulous with what we did. The report from our own auditors, PWC, did not even spare us. Their complaint was that what FIFA is giving to the Nigeria football federation has a government enshrined structure. FIFA believes that if Nike gave you 100 jerseys, it must be properly detailed and analysed. What I mean is that they want 100 percent details. If one detail is not contained, they see it as a defect. When I proposed the idea of hiring world class auditors, many people expressed fears these auditors I intended bringing would not spare us and that they don’t cut corners. But I persuaded them to let us follow due standard as we do not have anything to hide. Today, the auditors are not indicting us but telling us where we went wrong and how to improve. If you look at our audit report for 2016, they only had three major complaints. One was with the Nike deal. They didn’t spare us, they didn’t have issues with money coming from government, FIFA and CAF because everything was well document. Since I came, I don’t sign cheques, I don’t sign confirmation letters. The only thing I give is policy direction. I go to Abuja everyday on my expenses, without an official car. I don’t have an official resident, I stay in hotel or my brother’s house. I do all these because of my passion. Nobody knows how we are paying the Super Eagles coach but we are doing so as and when due. We need to be commended because we have made a lot of sacrifice. How pained do you feel about the shame that the Super Falcon caused the nation after their victory at the last African Women’s Nations Cup in Cameroon? I know the personal efforts I made to the Super falcon when they came to Lagos. I picked them and took them to a good restaurant where we had launch and got a pastor to pray for them that they will come back with trophy. When they were going, the money they transferred to the executive account, the secretary told me. When they came back, we gave them a good reception in our own capacity and that of our sponsor. When they flew to Abuja, we told them that they would hear from us, but since we did not hear from the Minister, they also did not hear from us, when we heard from the Minister, I communicated with them and told them the situation that they could go and that we would get back to them. I even presented to them the case of the Golden Eaglets, who won the FIFA U-17 World Cup in Chile and got their money after four months, but they said they would not go until they got their money. There was nothing we could do because they were bent on pressing for their demands. It was a very sad situation to see because we tried to prevent it from happening. It was beyond us.